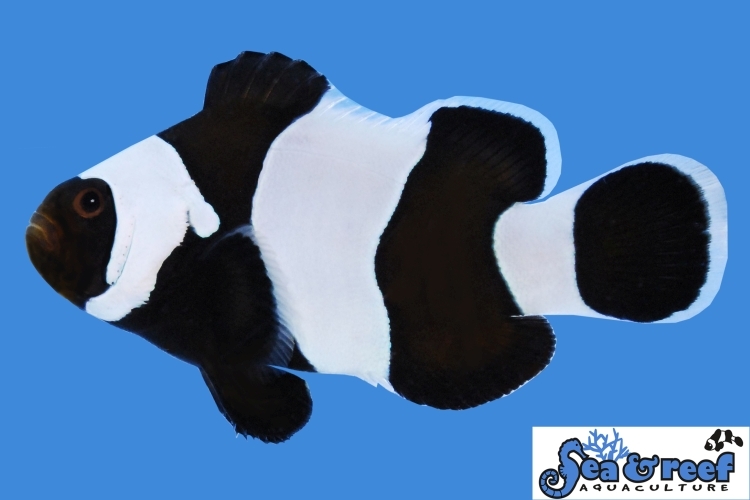 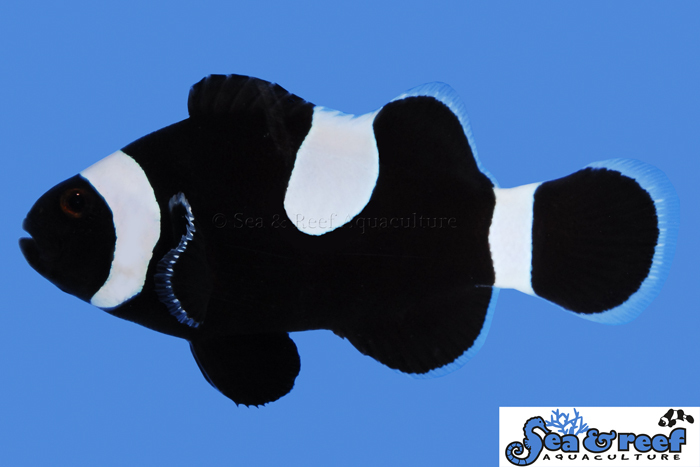 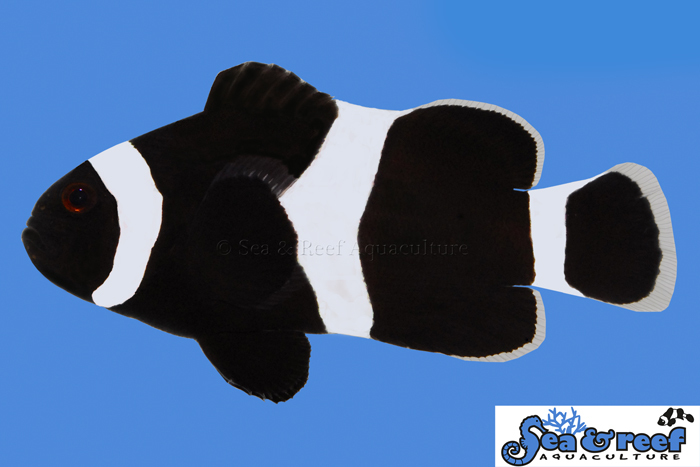 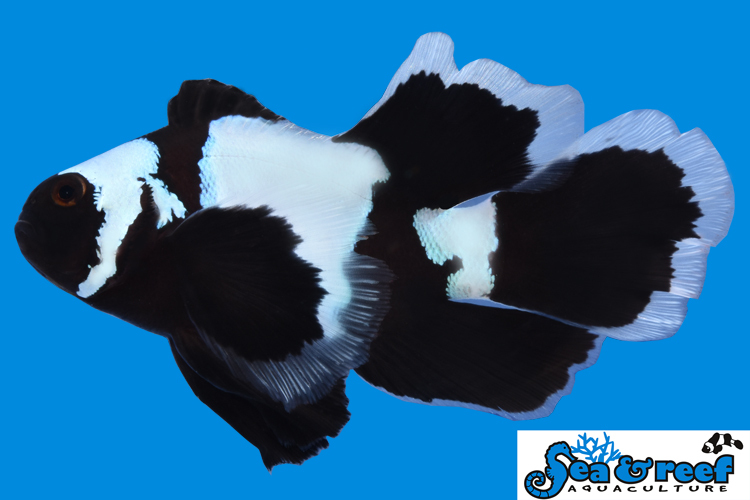 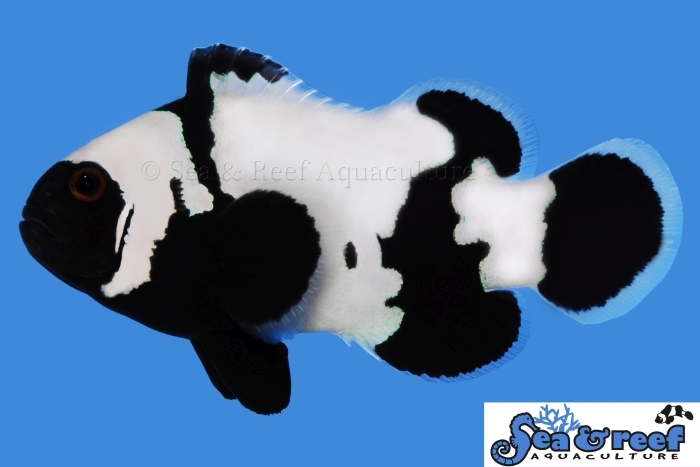 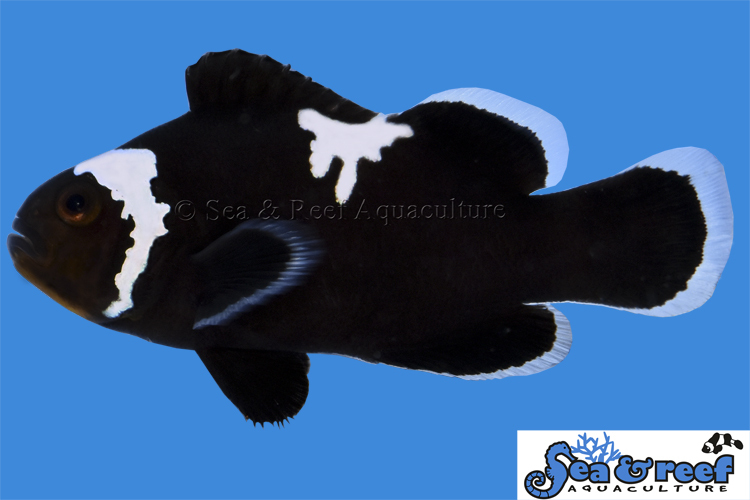 Premium Picasso Clownfish has more white markings than our Picasso clownfish and at least two stripes on each side of the fish are joined. 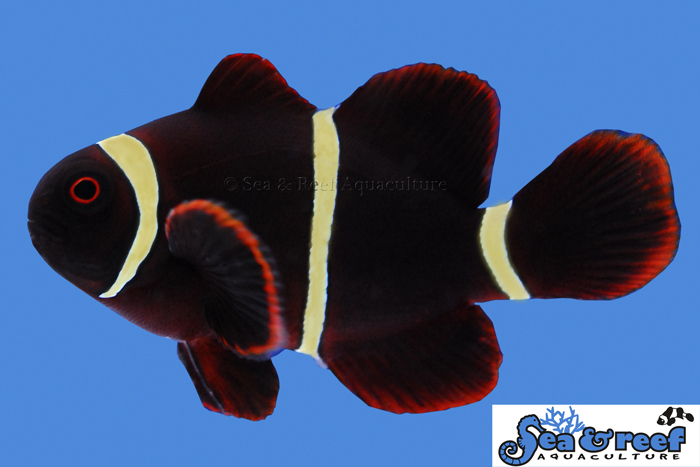 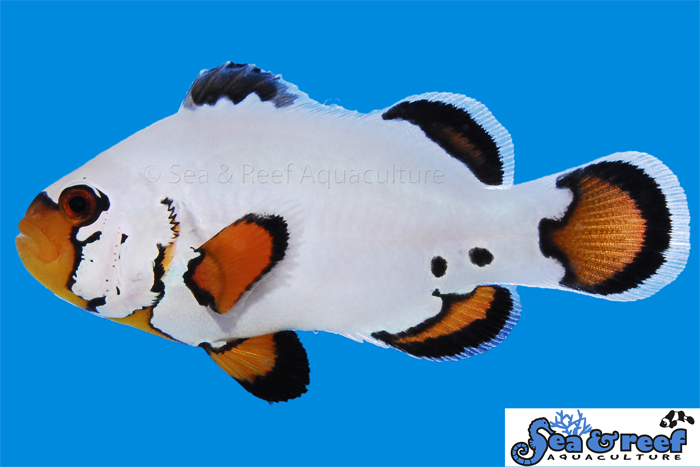 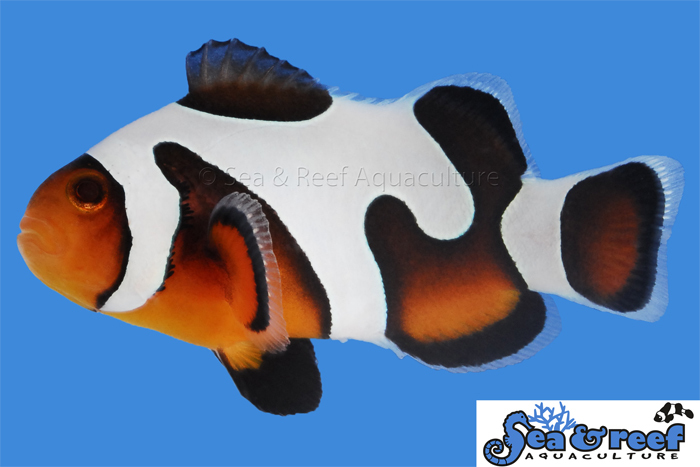 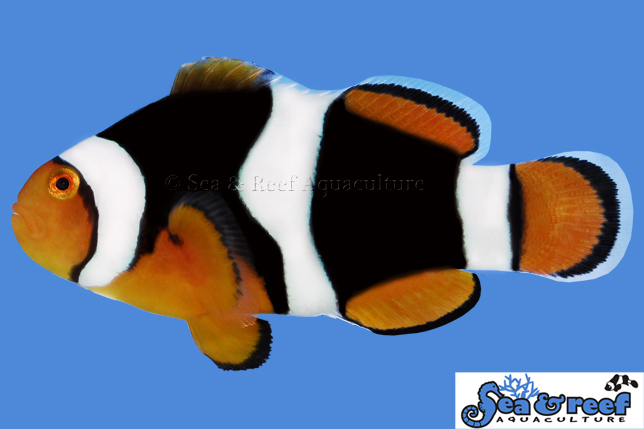 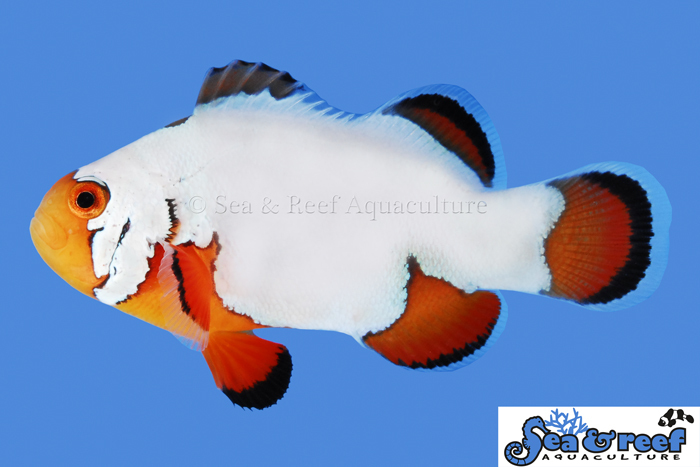 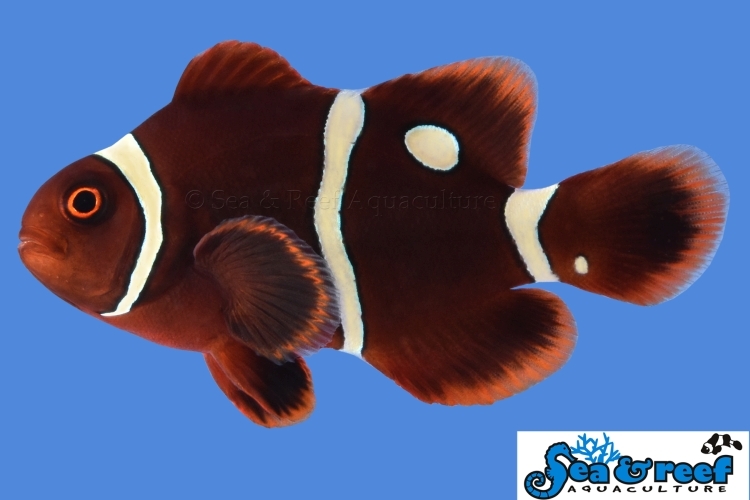 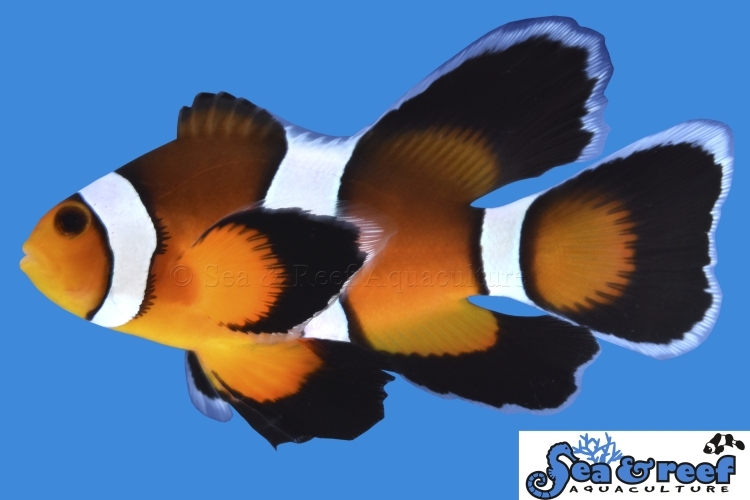 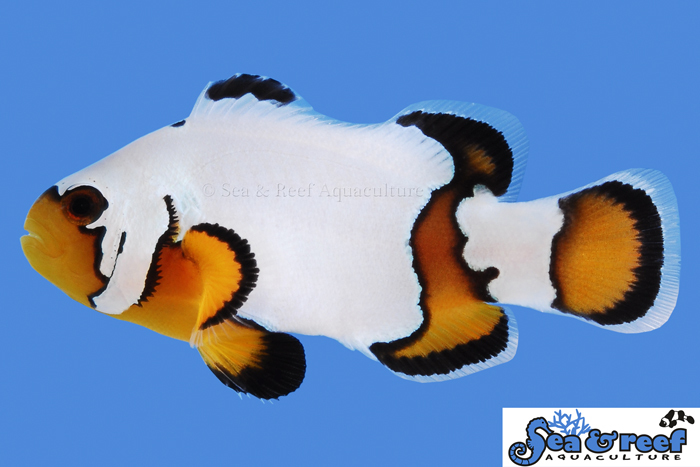 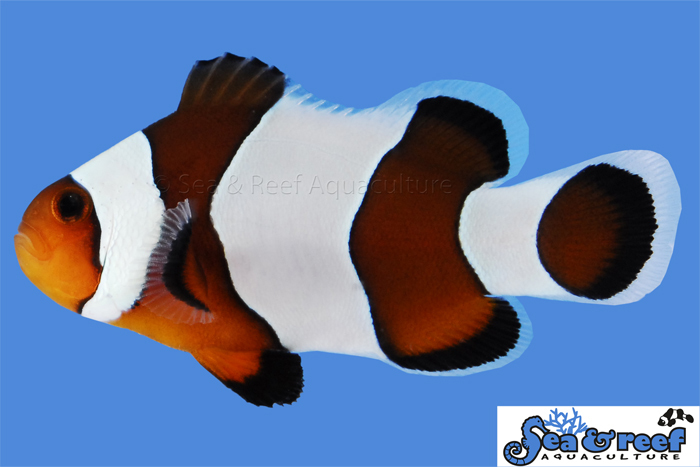 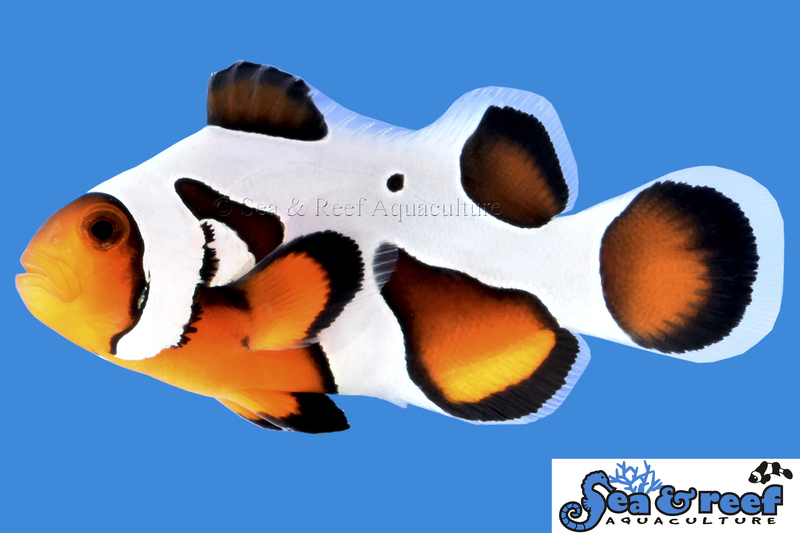 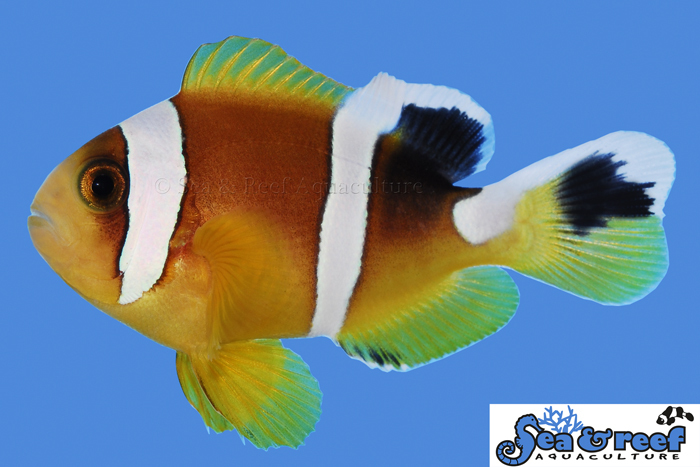 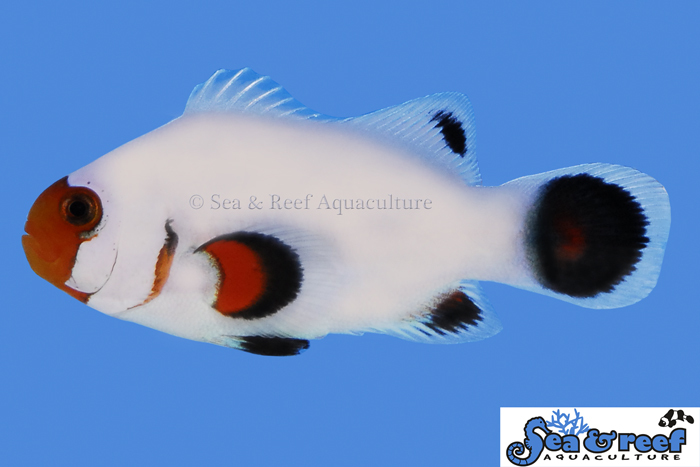 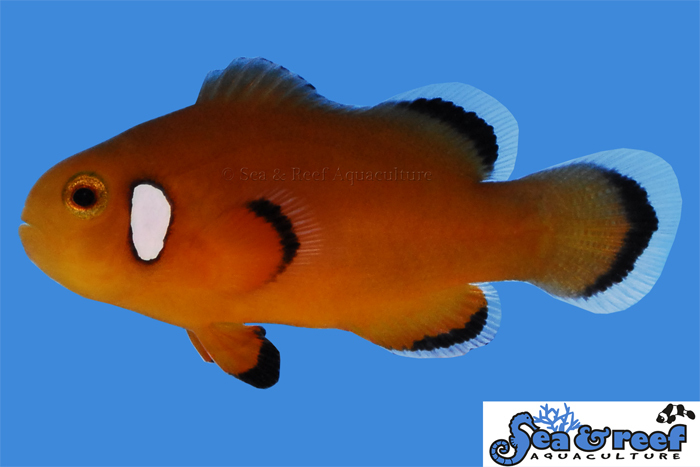 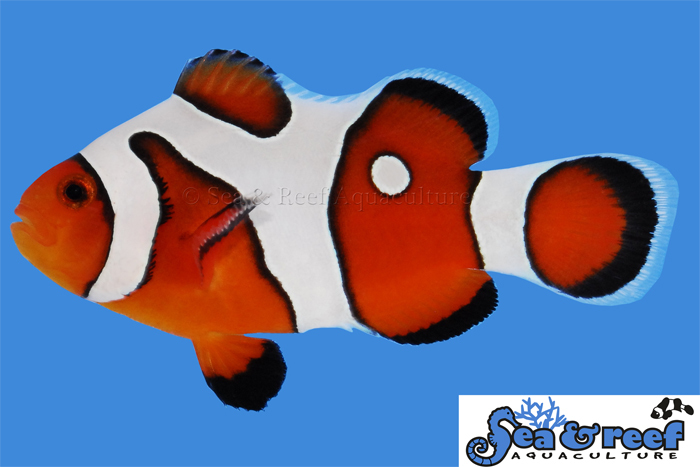 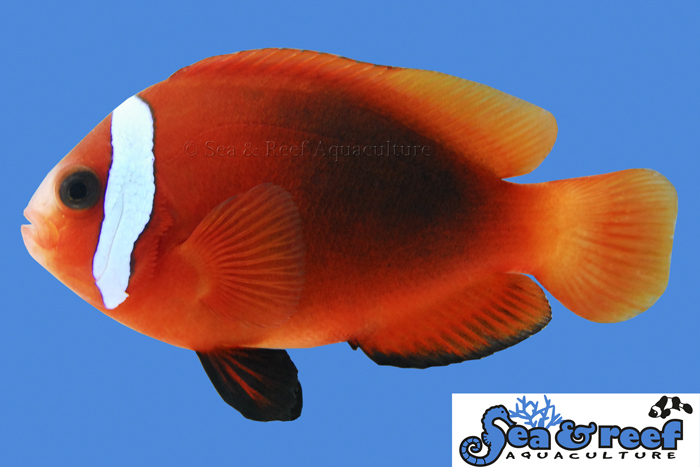 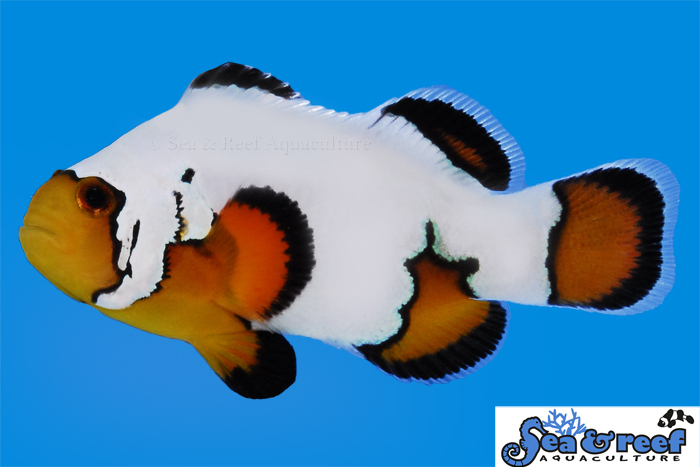 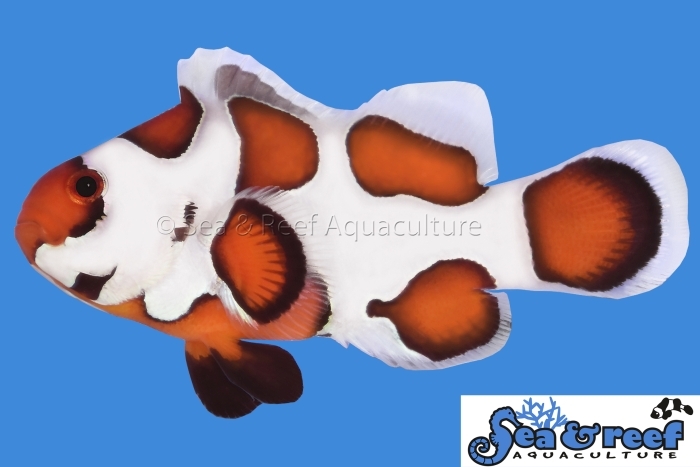 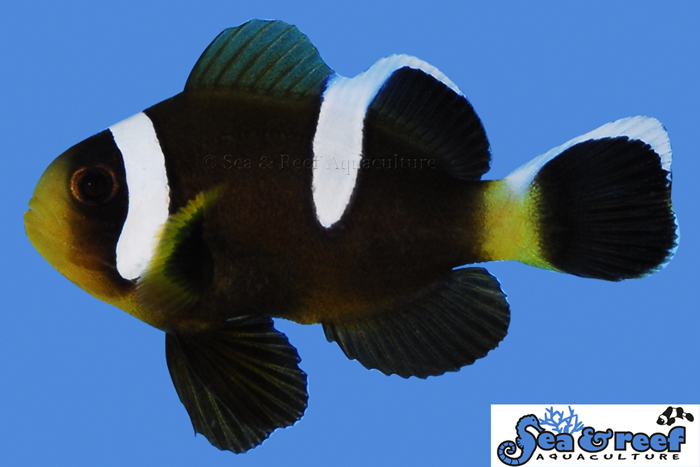 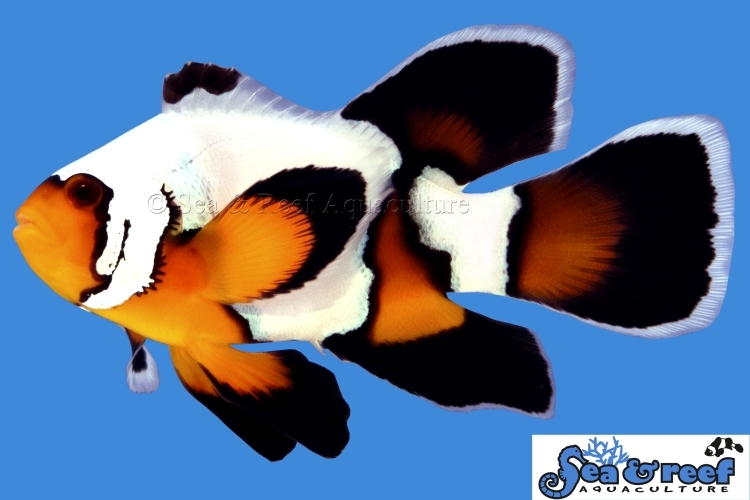 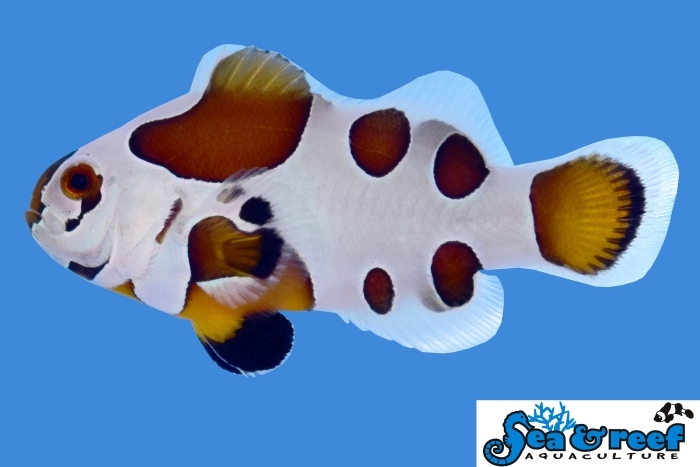 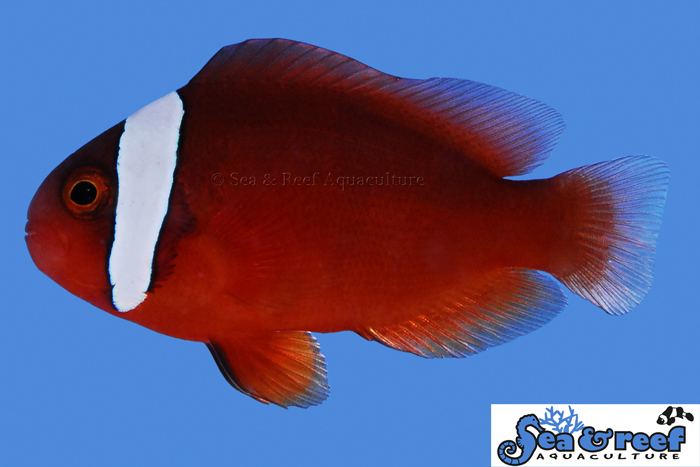 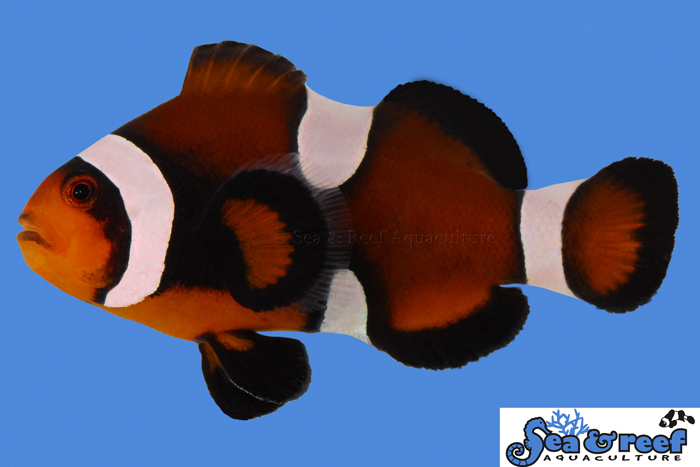 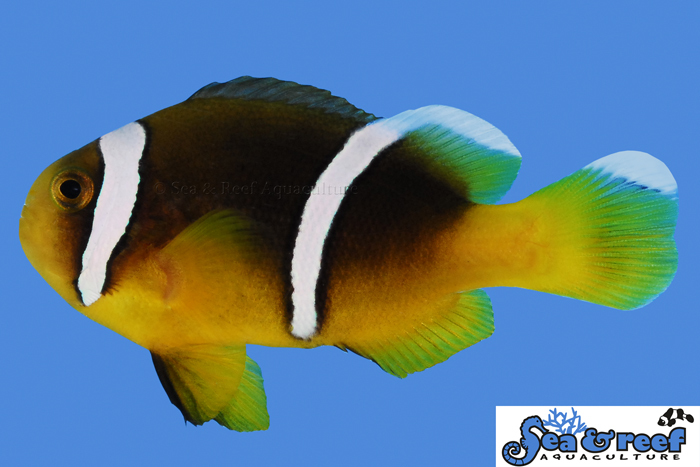 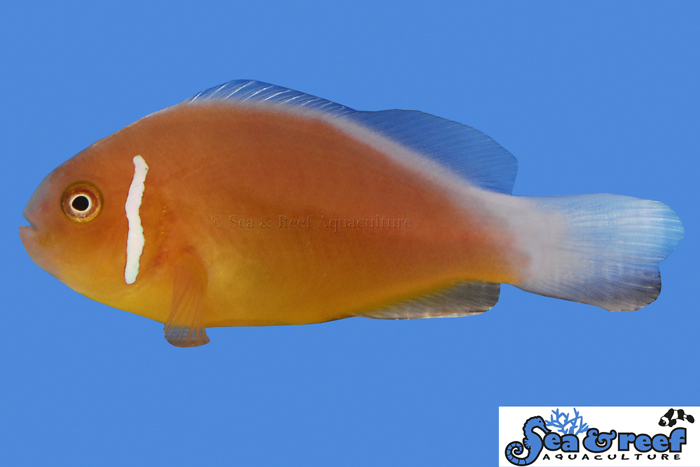 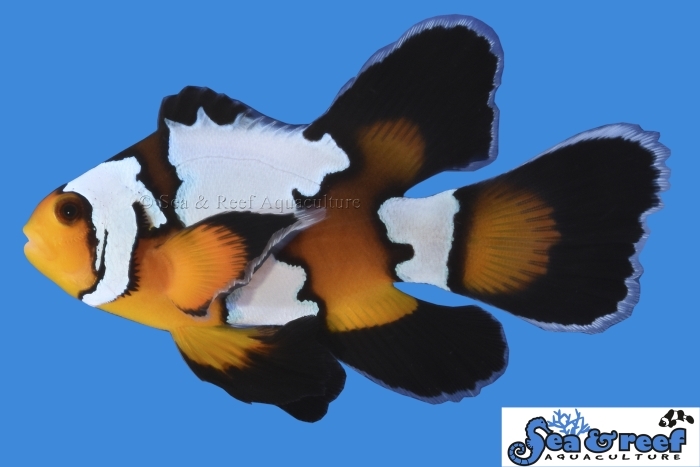 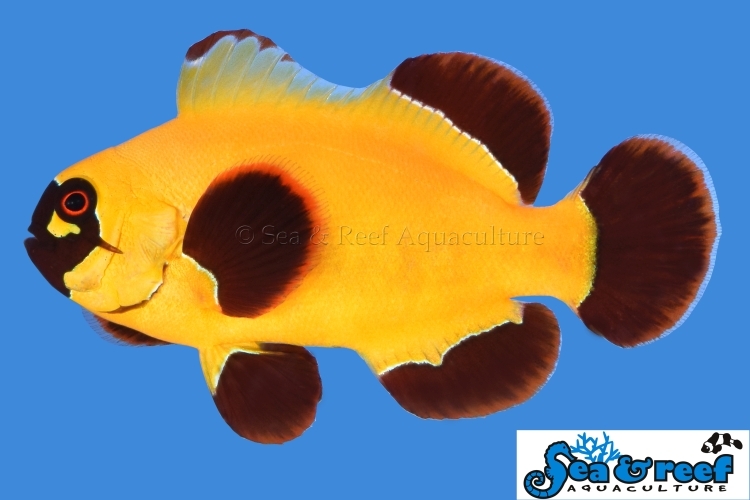 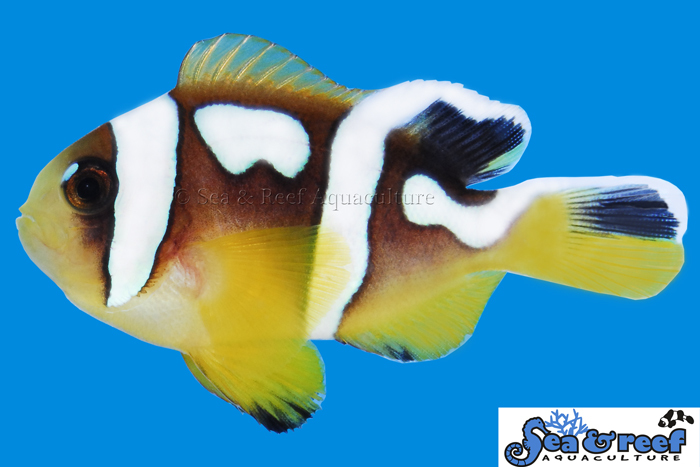 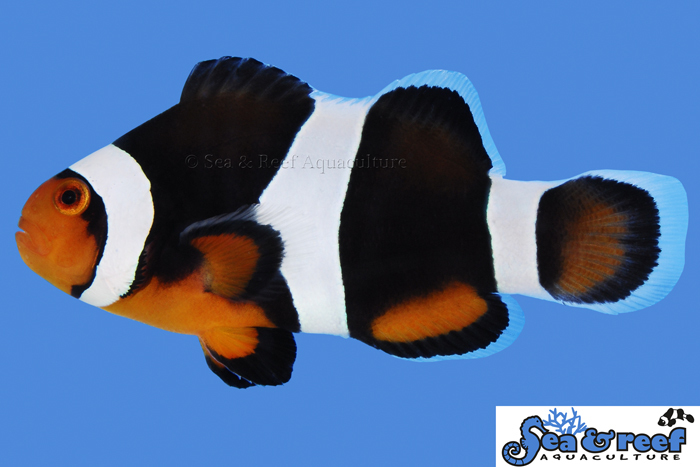 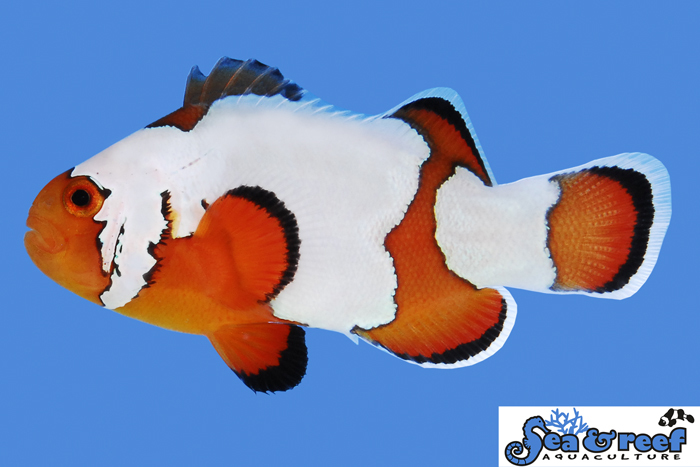 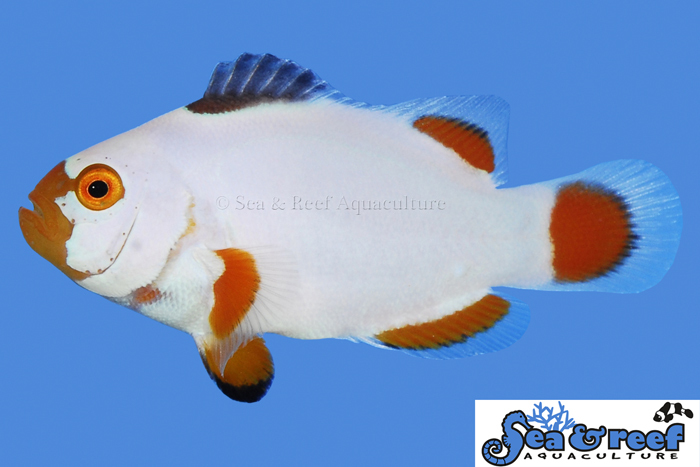 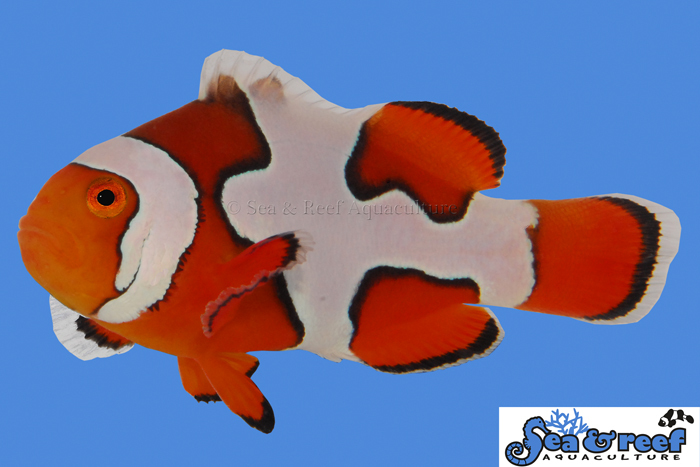 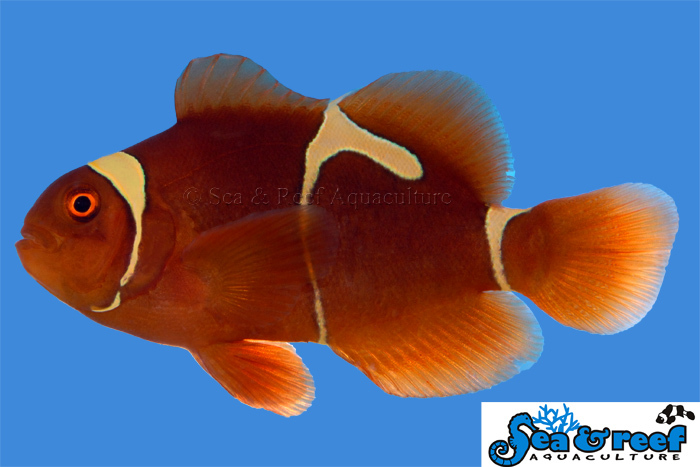 Only a small percentage of Picasso clownfish are selected as the very unique and exquisite Sea & Reef Premium Picasso Clownfish. 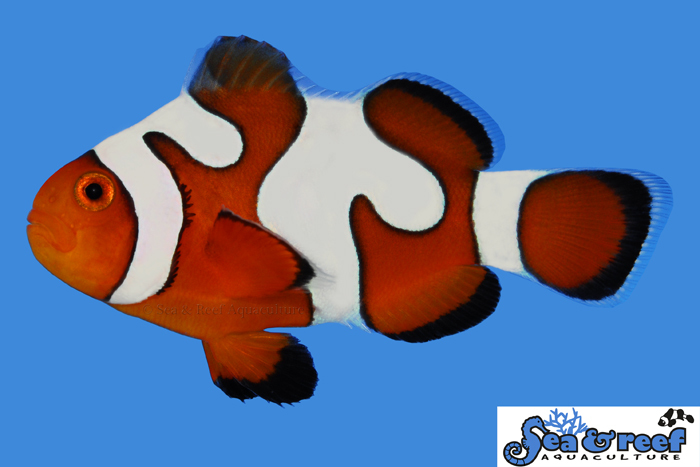 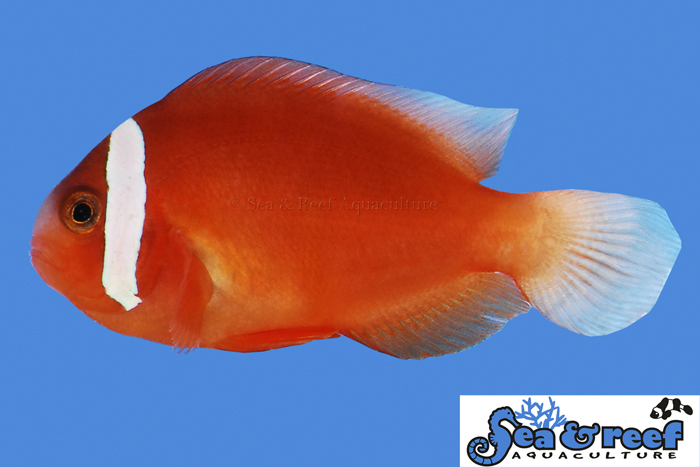 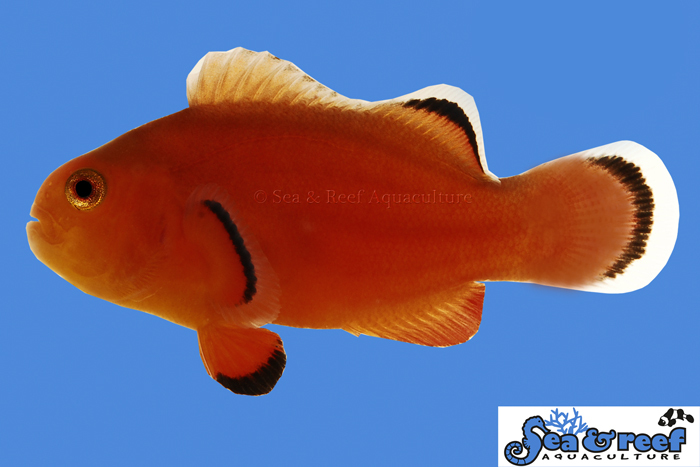 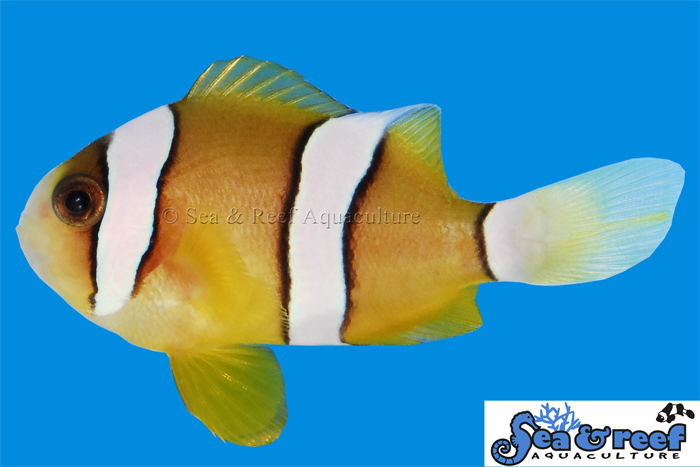 The temperament and captive care requirements for Picasso Clownfish are very similar to that of the regular Percula Clownfish. 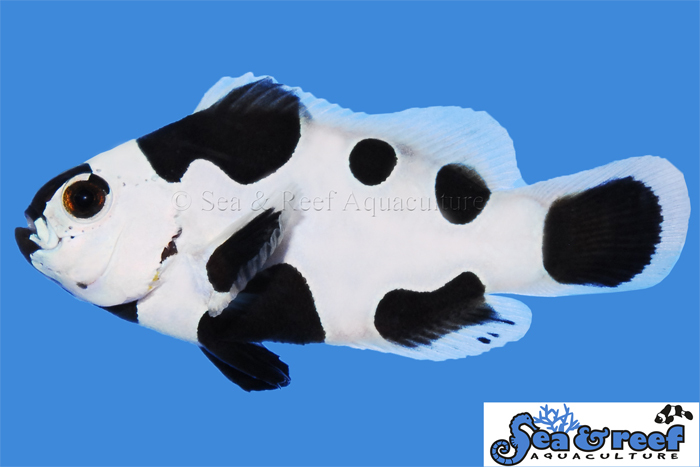 It is very peaceful and hardy. 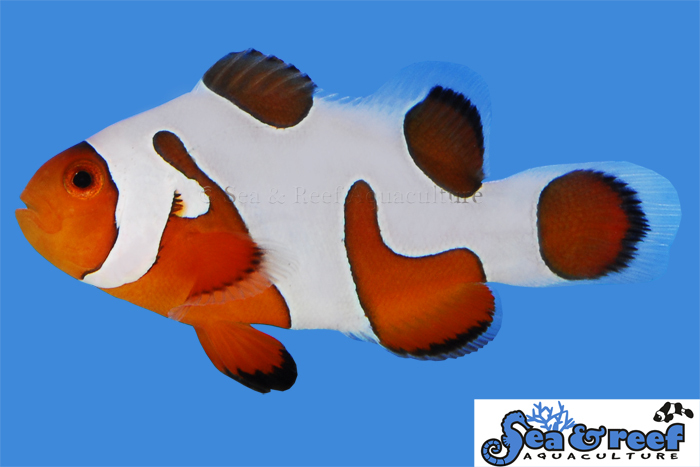 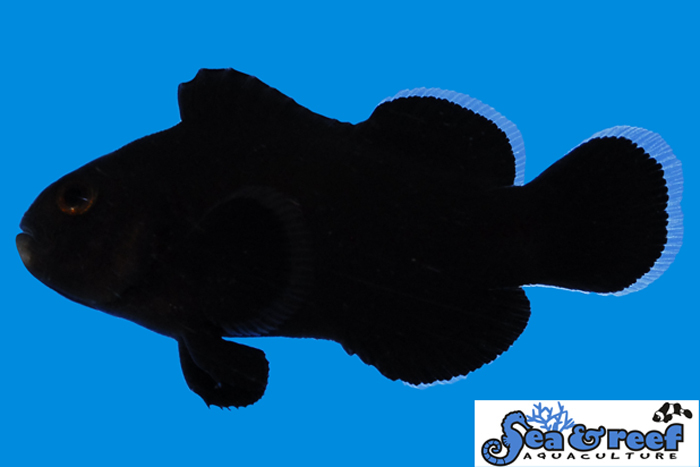 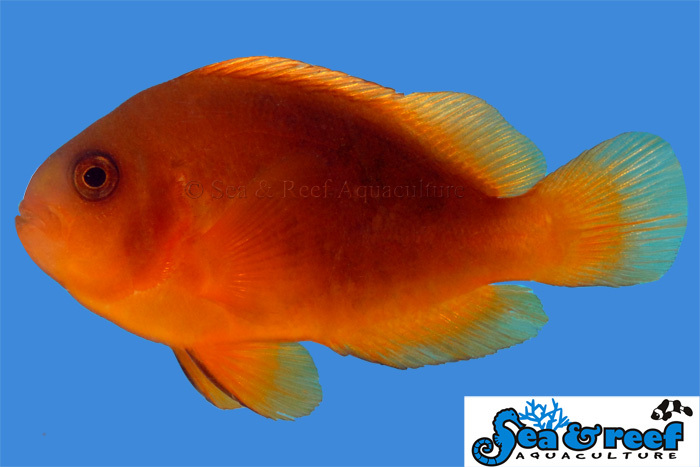 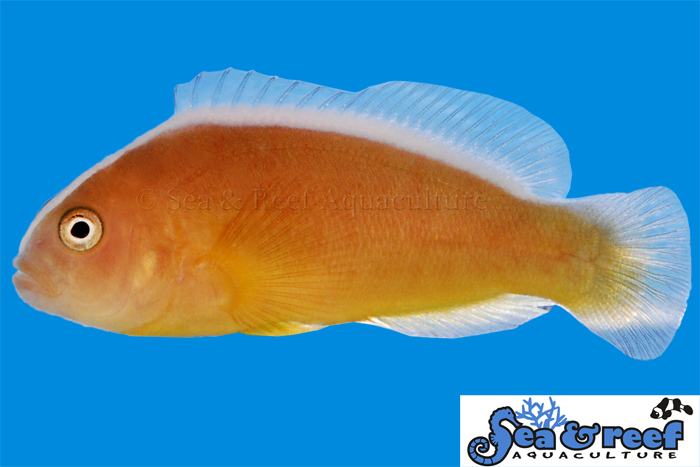 They thrive in saltwater aquariums with or without an anemone present. 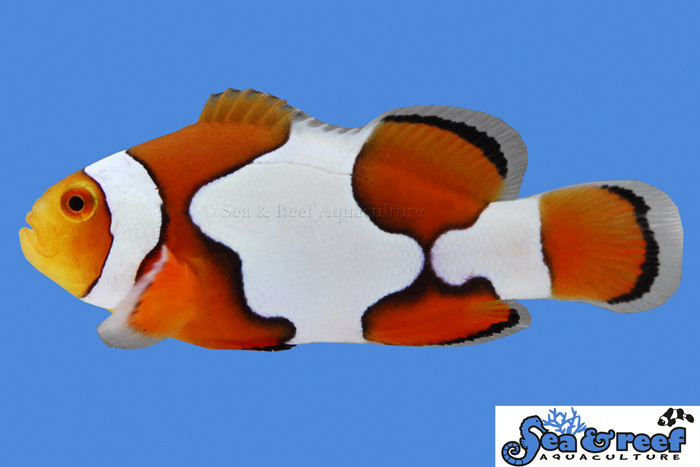 Our Premium Picasso Clownfish will readily accept a wide variety of host anemones and we recommend the popular and hardy Bubble Tip Anemone (Entacmaea quadricolor). 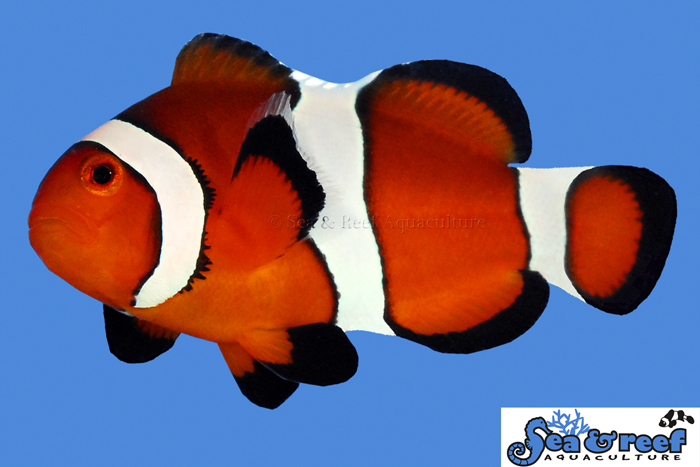 As a reference the natural host anemones of the regular ocellaris clownfish are Magnificent Sea Anemone (Heteractis magnifica), Sebae Anemone (Heteractis crispa), and Giant Carpet Anemone (Stichodactyla gigantea).